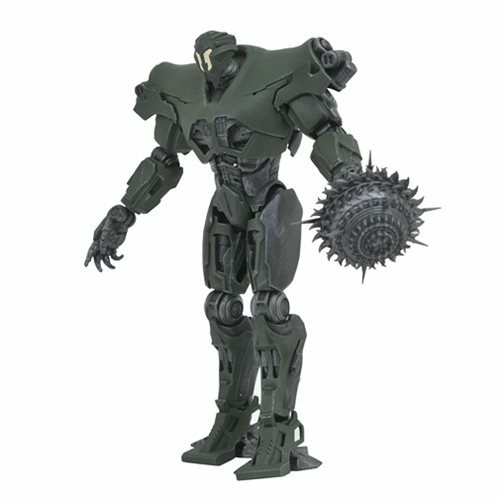 The globe-spanning conflict between otherworldly monsters of mass destruction and the human-piloted super-machines built to vanquish them was only a prelude to the all-out assault on humanity in Pacific Rim Uprising.The Titan Redeemer Jaeger stands approximately 7-inches tall, is highly articulated, and comes with accessories and interchangeable pieces. This awesome Jaeger are joining the fight against the kaiju menace. The Titan Redeemer comes with his with his whip and has approximately 16 points of articulation. The figure come in display-ready Select action figure packaging, with side-panel artwork for shelf reference.